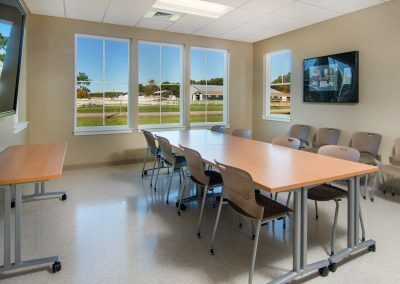 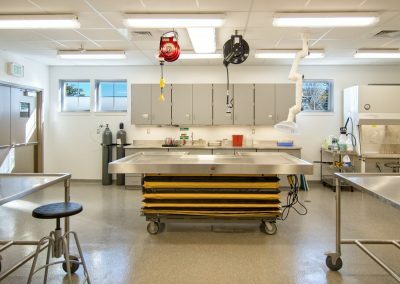 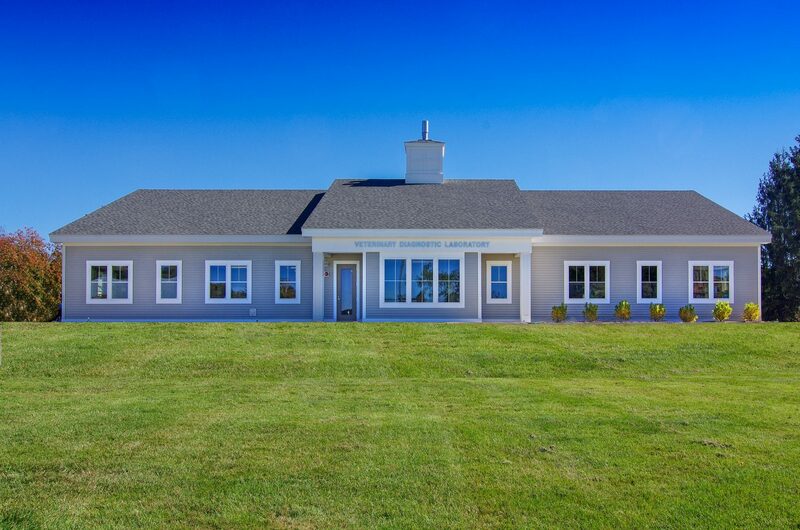 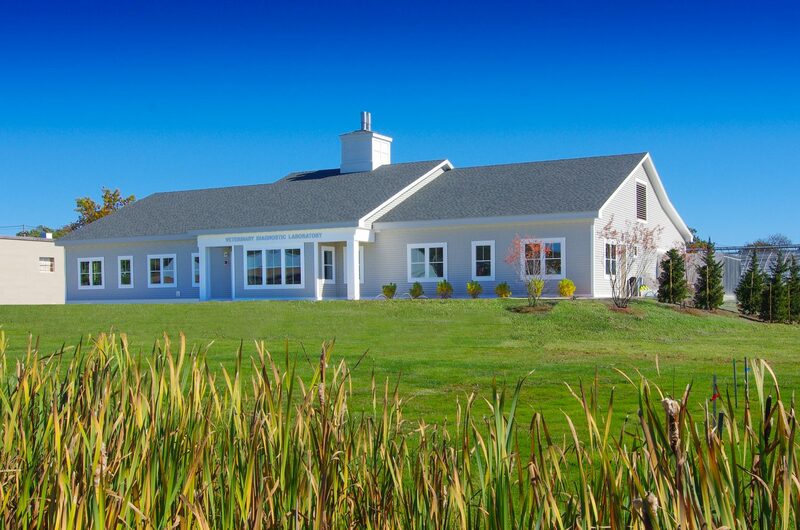 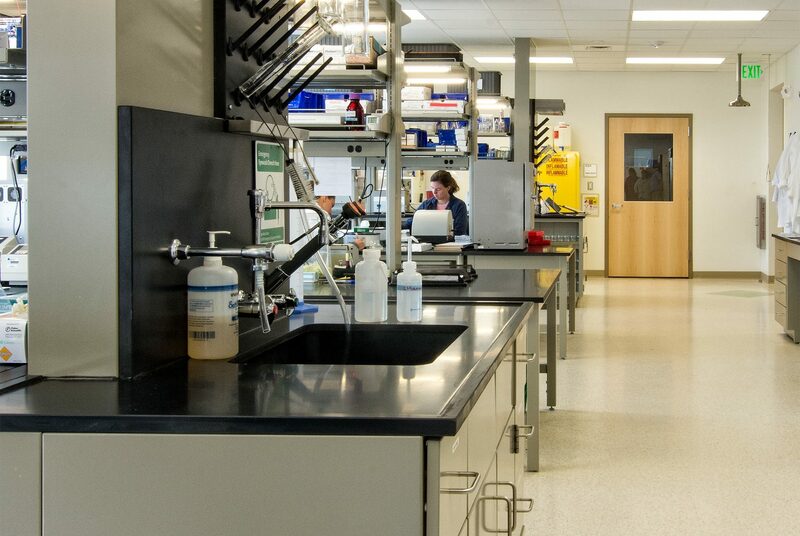 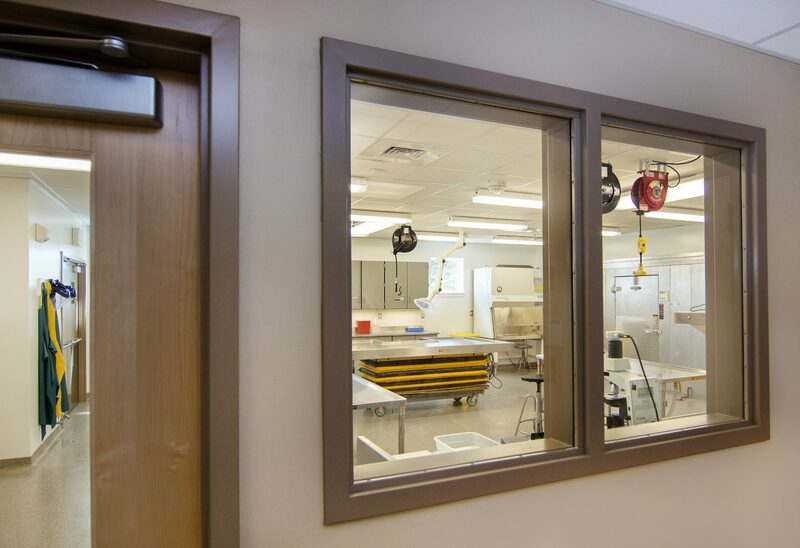 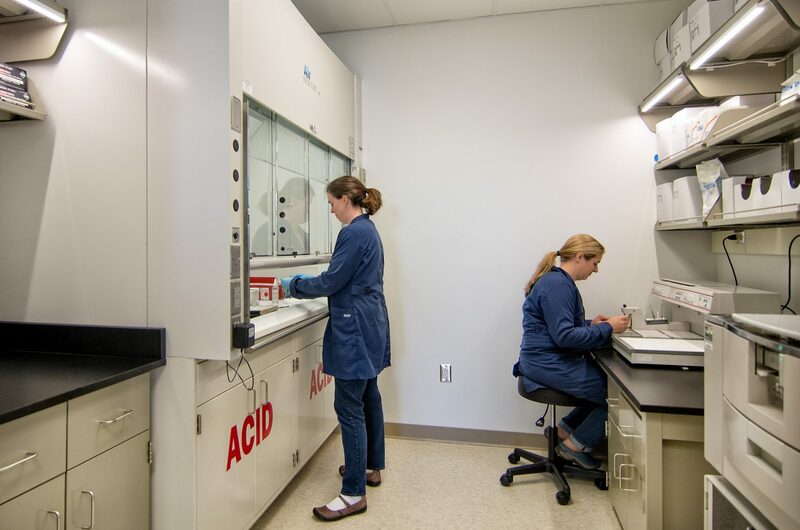 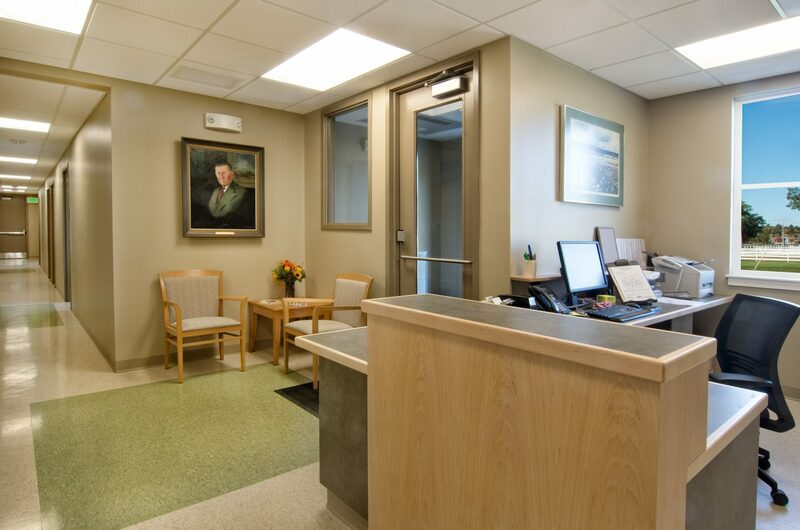 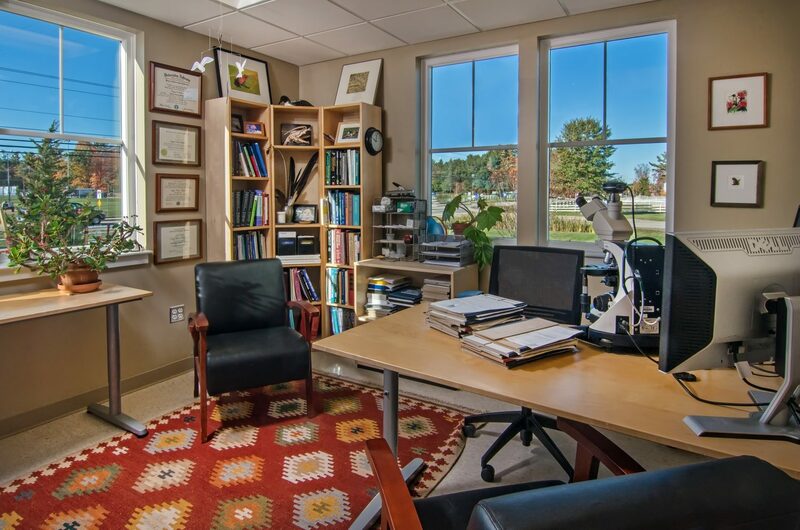 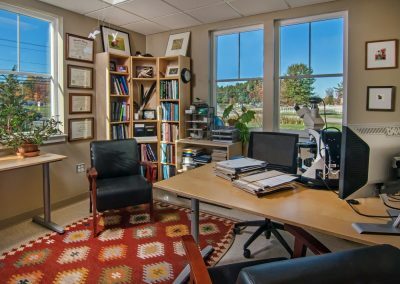 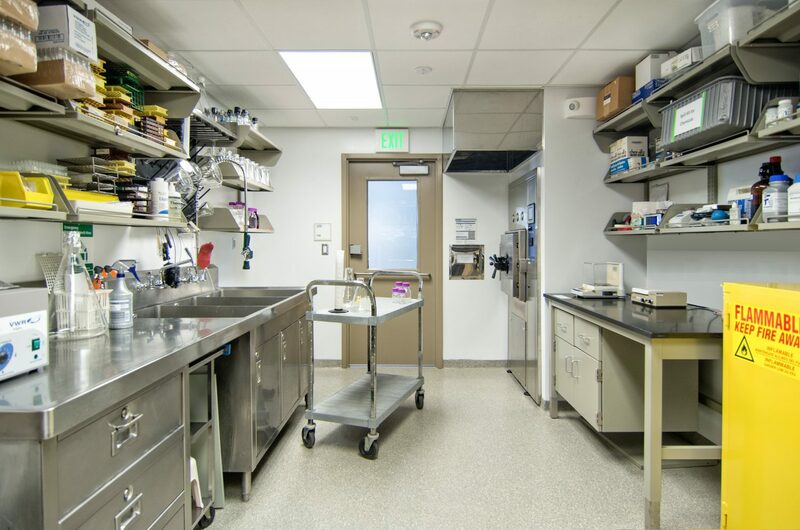 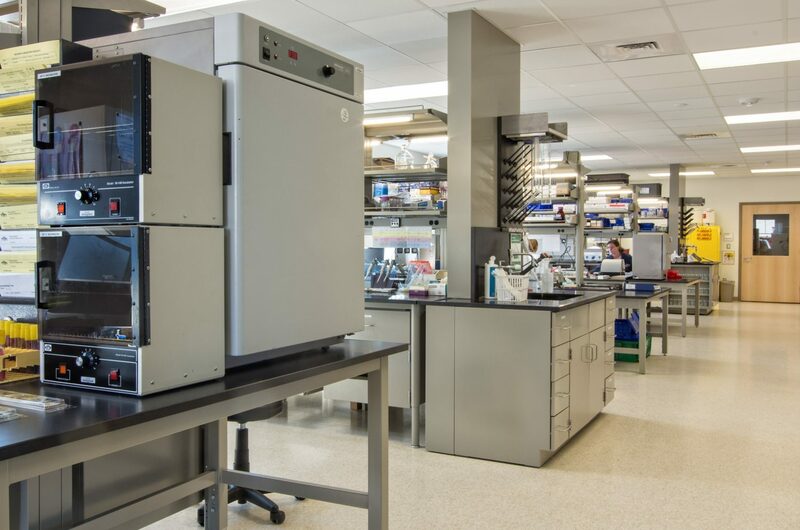 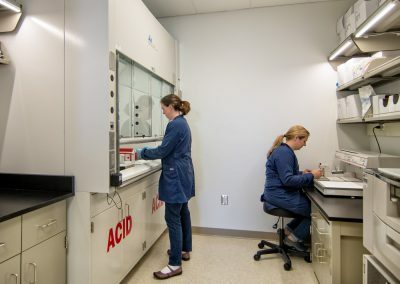 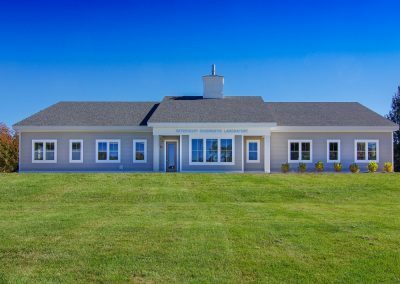 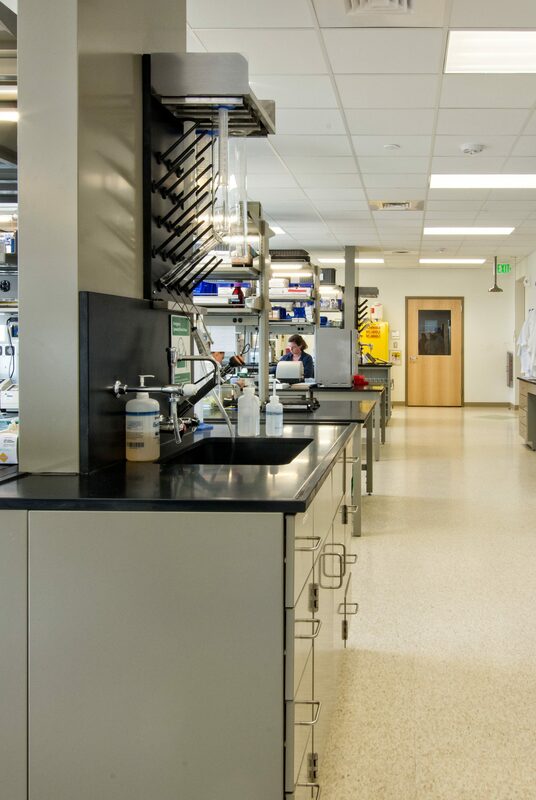 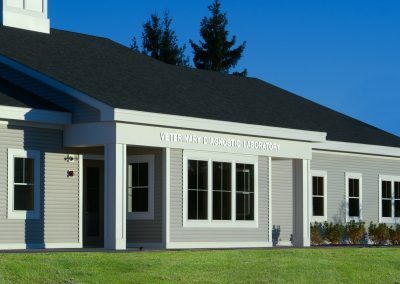 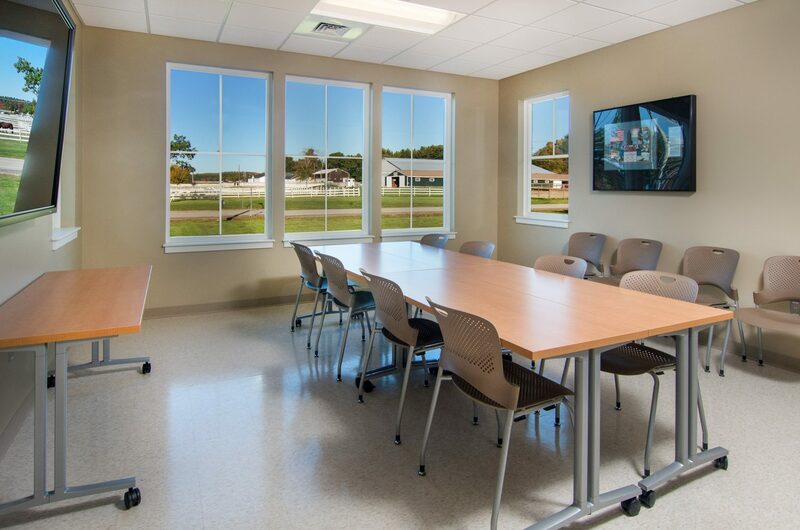 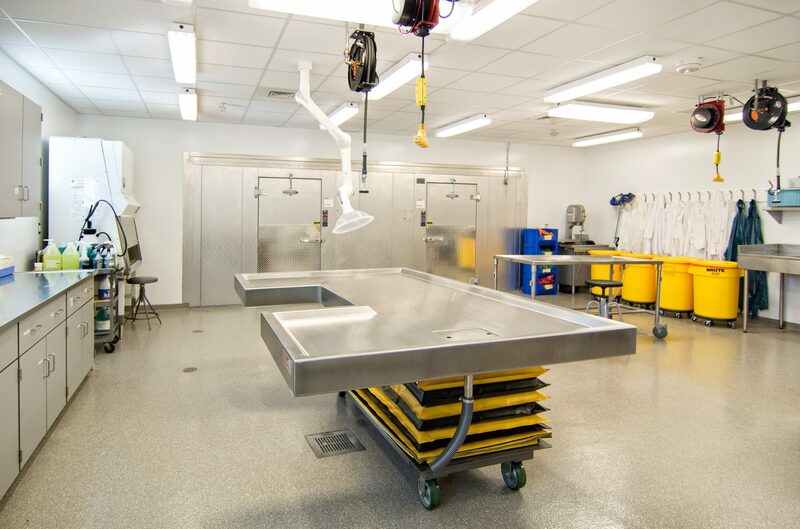 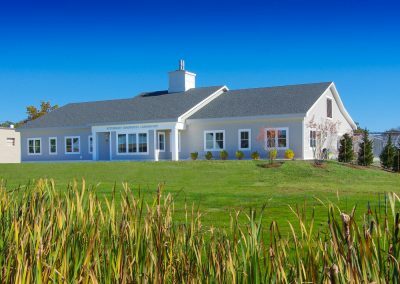 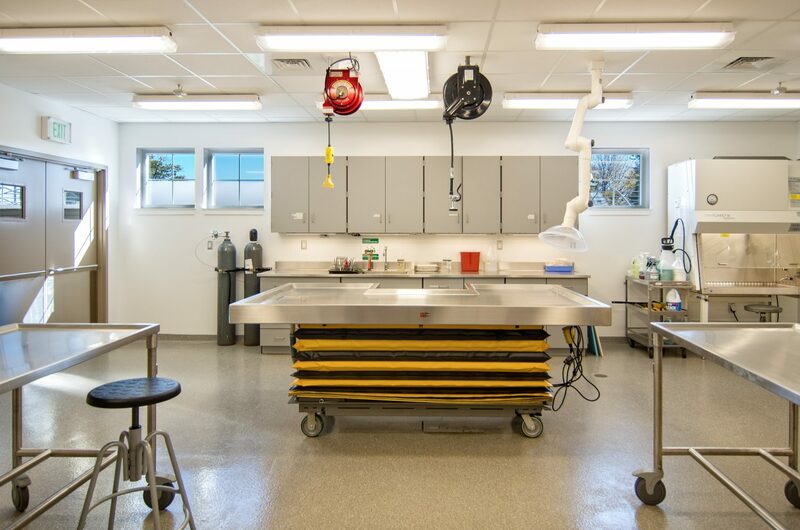 UNH Veterinary Diagnostic Laboratory | Allied Engineering, Inc.
Allied Engineering worked closely with UNH, the architect and the design-build contractor on this project to relocate the UNH Veterinary Diagnostic Lab to a new free standing facility. 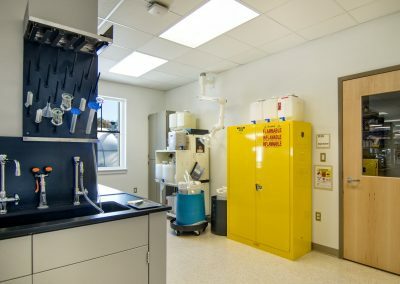 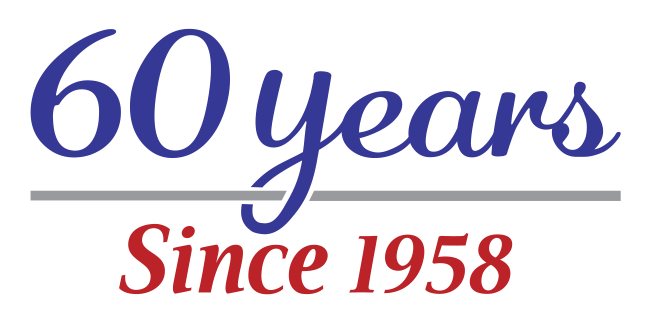 The facility is a 6,500 s.f., $1.9M facility which ties into the existing hot water system (HWH), the existing electrical system, the existing sewer system, and the existing water systems that are nearby the site. 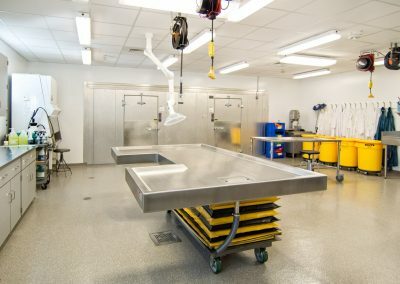 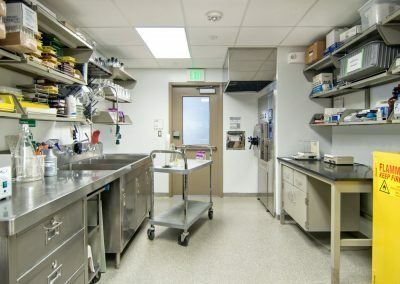 Our team was able to consolidate the program by combining the various labs into one large diagnostic lab and one large necropsy suite in order to minimize circulation and meet the University’s very tight budget constraints. 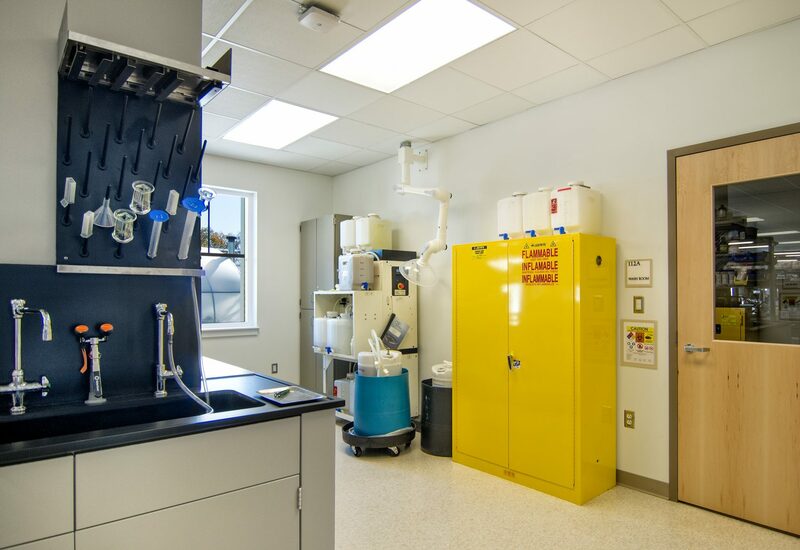 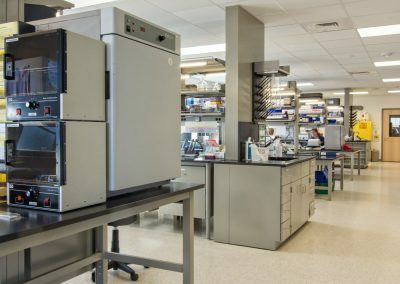 This consolidation also resulted in the need for less lab equipment as fume hoods, autoclaves and other costly scientific equipment can now be shared.